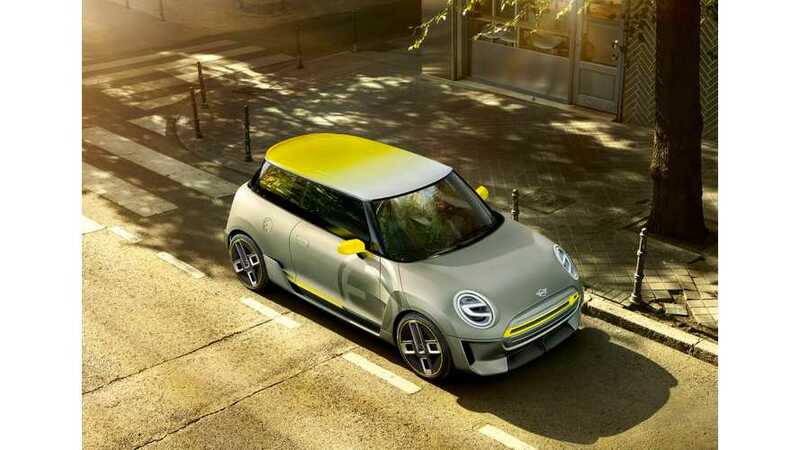 According to Autocar's engineering sources in Germany, the upcoming all-electric MINI is to be a proper hot hatchback with focus on performance and will be the "industry’s first electric hot hatch". The car will be based on the Mini three-door hatchback and standard UKL1 platform, adapted to accommodate batteries and electric drivetrain. The name will reportedly be Cooper S E.
The range is expected at around 200 miles (320 km), but if the performance is really a primary focus, then it's hard to say what the average driver will get. The Autocar article suggests that the electric MINI Cooper S E will share the 135 kW electric motor with BMW i3S. "Mini previewed the EV with the 2017 Mini Electric concept, but the model is due to have much more in common visually with the Cooper S. To that end, expect styling similar to the regular Cooper S hatchback, with some electric ‘E’ trim to provide visual differentiation between Mini’s two hot hatches. After a reveal in the second half of the year, the Cooper S E will reach UK showrooms priced from around £30,000." The introduction of the all-electric MINI falls on the 60th anniversary of the brand, started in 1959.